I love the look for Spring adding the different color of eye liner to the top of the eye above the black or brown liner or just adding a touch of color to your bottom rim of the eye. So girlies, try something a little different go for some color it could be a new pop of color you need this season. Wow, Eva Mendes really knocked it out of the park at a screening of her new film, Girl in Progress, in Los Angeles–I’m so in love with her eyeliner! Overall, I would give Eva’s entire look two enthusiastic thumbs-up. From her brows to her blush to her lipstick, everything is working together in perfect harmony. But her green eyeliner is the showstopper (check out a mesmerizing close-up here). She’s wearing a thick swipe of basic black liner on her top lash lines, but she switched it up on the bottom and went with a gorgeous emerald green that looks like it has a teensy bit of sparkle in it. Isn’t it so pretty with her eye color and skin tone? And it’s such a nice alternative to the usual allover black or brown. Does this woman ever have a bad beauty day? Eva even looks amazing when she goes grocery shopping. How is this fair? Oh, well. At least she gives us great ideas. Think you’ll copy her latest look? Rimmel Soft Kohl Kajal Eye Liner Pencil in Jungle, $4, and Anna Sui Eye Liner Pencil in Neon Green, $19, are good choices. Zoya Nail Polish in Kendal, $8, zoya.com. “What’s fun about a layering a clear, yet glittery polish over any hue is that it can really change up your manicure in seconds,” explains Lippmann. She suggests painting on a top coat like this before heading out to happy hour. 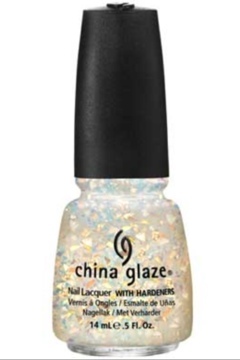 China Glaze Capitol Colours Nail Lacquer in Luxe and Lush, $5.99, sallybeauty.com. These magnetic polishes are mind-blowingly cool because they’re blended with metallic particles that move when exposed to the magnetic-filled cap. Translation: You’ll either end up with a super-subtle wave design on your nails (best for work) or a seriously intense one (more for play), depending on how long you hold the magnetic cap over your polish while it’s still drying. Slowly move the magnet around to the left and right simultaneously if you want to change up the patterns. 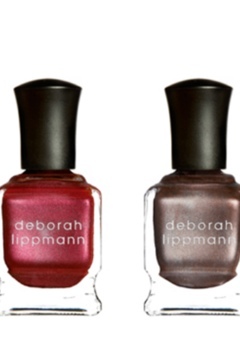 Deborah Lippmann Magnetic Wave Design Nail Lacquer Sets in Nails of Steel, $36 for two, lippmanncollection.com. The only exception for this bright, fun color: an interview. But once you land the job swap out your go-to classic red shade for this fresh take on crimson, says Lippmann. 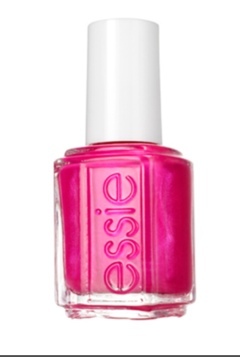 Essie Nail Polish in Tour de Finance, $8, essie.com. Okay, we get it, you’re not afraid to be noticed. “This fluorescent hue will best suit you surf- or pool-side.” Not exactly a beauty risk taker? “If you’re too afraid to try out this trend on your nails, the best place to experiment is on your toes,” adds Lippmann. Sinful Colors Nail Enamel in Neon Melon, $1.99, Walgreens.com. Out man hunting? 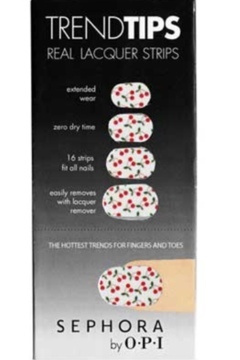 These real nail polish stickers are topped with patterns that will not only grab his attention, but they’ll also give you something to talk about right off the bat. Sephora by OPI Trend Tips in Cherries, $12, sephora.com. 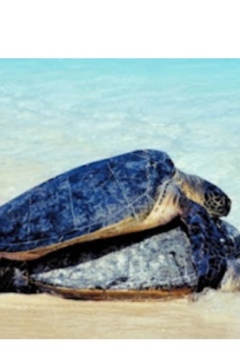 We like to refer to it as the out-with-your-girlfriends-green. “It’s fun, flirty, and light-hearted,” says Lippmann. Plus, it can be worn anywhere from the mall to karaoke night with your BFF’s. “This sherbert shade is definitely work-worthy, since it imparts a subtle orange tint onto tips,” says Lippmann. Paint on one coat for a pale peach finish and two for a more opaque effect. 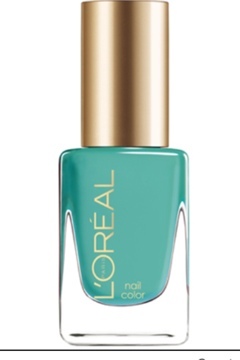 It’s not your average going-out shade, but this blue-green opalescent polish adds a cool twist for tips since it allows them to be edgy without looking too-dark, adds Lippmann. Tuff Scented Scent Infused Nail Polish in Mother Nature, $10, tuffscent.com, which also leaves a subtle scent of spearmint on your nails.